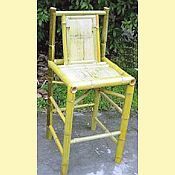 The Tahiti Natural Bamboo Tiki Bar Stool is perfect for your friends and guest to join around you tiki bar. 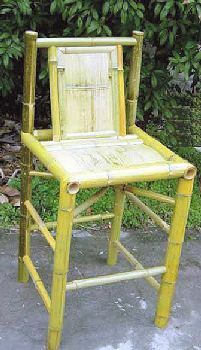 These hand crafted bar stools are made with processed Muso bamboo for strength and longevity. These stools are great for use out doors as well as indoors. This stool has a back support with a seat height of 30 inches. CAN ONLY BE PURCHASED WITH THE TIKI STYLE BAR, NOT FOR INDIVIDUAL SALE!! !